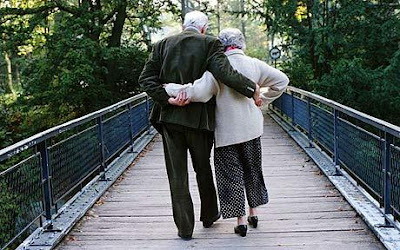 How To Stay Married For 70 Years!! When I moved to the mountains 23 years ago, I found it interesting that the Sunday paper often included Anniversary announcements for couples married 60, 65 even 70 years! In today’s world where married couples often trade in their spouses faster than their cars, this longevity fascinated me. I used to love to chat with the old timers in the neighborhood and hear their thoughts on this subject. One couple in particular, Kate and Jack, enjoyed sharing stories about growing up in the mountains. Life was very different back in the old days. Days started long before the sun came up. You were fortunate if you had indoor plumbing. There were lots of chores to do before your “work” or “school” day started and little free time to get into mischief. Sunday was church and family day. Folks who strayed were quickly reeled back in by well meaning family and friends. Everyone in town “talked” if they knew there was something out of the ordinary going on. Media was almost non-existent so nobody knew or cared what the city slickers were up to. The majority of couples knew each other most of their lives and never thought about marrying outside of their own communities. Most had picked out their intended by the time they finished grade school. Secret of their marriage longevity? They were taught not to throw away overripe bananas….Made sense to keep them and make a banana pie. Good to have something sweet at the end of a meal!